Under Construction. June/July completion. Aqualina is Treasure Island's newest upscale waterfront development. 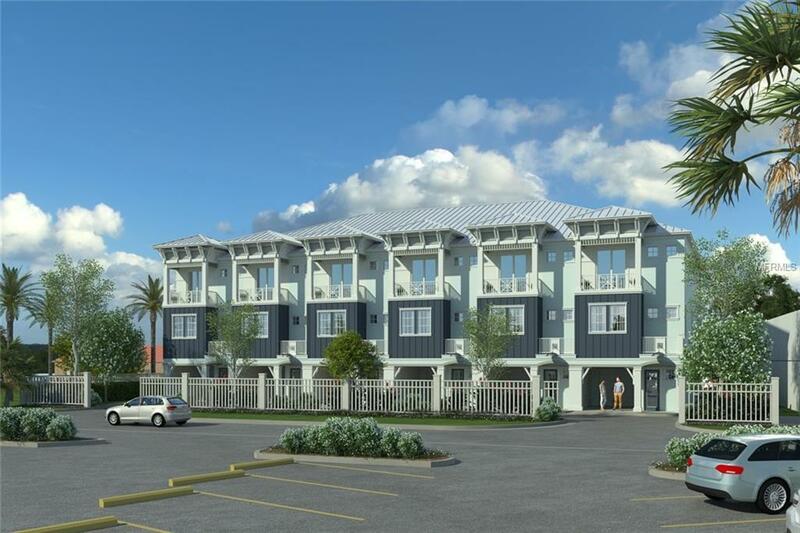 Exceptionally designed Key West style townhome offer an open floor plan of 3 bedrooms, 3 full baths that are all unsuited, large 2 car garage, 1 car attached and covered carport, community pool and dock. The townhome is beautifully appointed, no builder grade finishes here! Hurricane rated windows, sliders and tankless water heaters. Balconies are off of the 2nd floor living, 2nd floor front bedroom, and the master bedroom. The kitchen has granite countertops, an island and a large walk in pantry. The Master bedroom offers a separate water closet, linen closet, European shower with 2 shower heads and a large walk in closet. 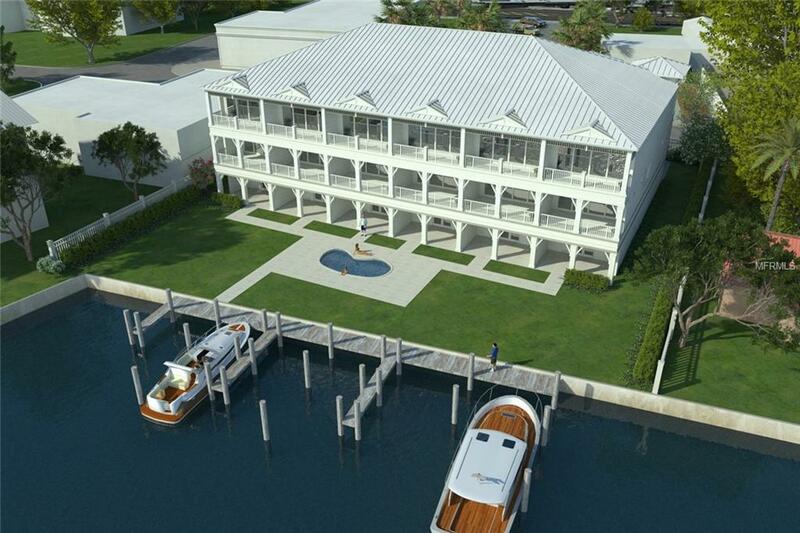 The Intercoastal Waterway is your backyard and each townhome comes with its OWN boat slip for a 8 foot beam boat with power & water included. You can see the Gulf of Mexico from the 2nd and 3rd floor bedrooms and is only a block away. Prime location in Treasure Island and the best way to enjoy it all is with a low-maintenance townhome. Finishes are available to view.